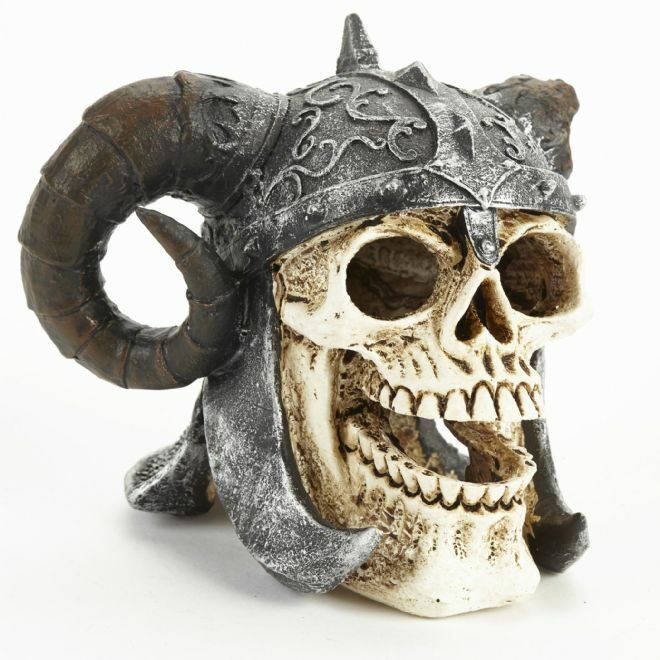 The Pet Ting Discovered Viking skull with Helmet brings your tank alive. With its stand out detail it will certainly look the part in your tank. Not only this but this crafty ornament comes with multiple swim-troughs for your fish to enjoy for endless fun.